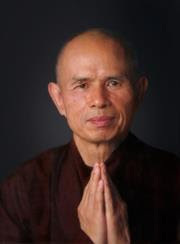 Thich Nhat Hanh teaches us that religious traditions inter-are; they are not separate from one another. Join us on retreat as we look deeper into this aspect of Interbeing. This retreat will be lead by monastic Dharma Teacher Thay Phap De (a laicized Catholic priest) and Dharma Teacher Jeanne Anselmo, along with the monks and nuns of Blue Cliff Monastery. It is open to all with an interest in the interconnectedness of Christian and Buddhist practice.